Some persons suspected to be political thugs have been arrested by security agents before the commencement of President Muhammadu Buhari's Next Level rally at MKO Abiola International Stadium, Kuto, Abeokuta, Ogun state. 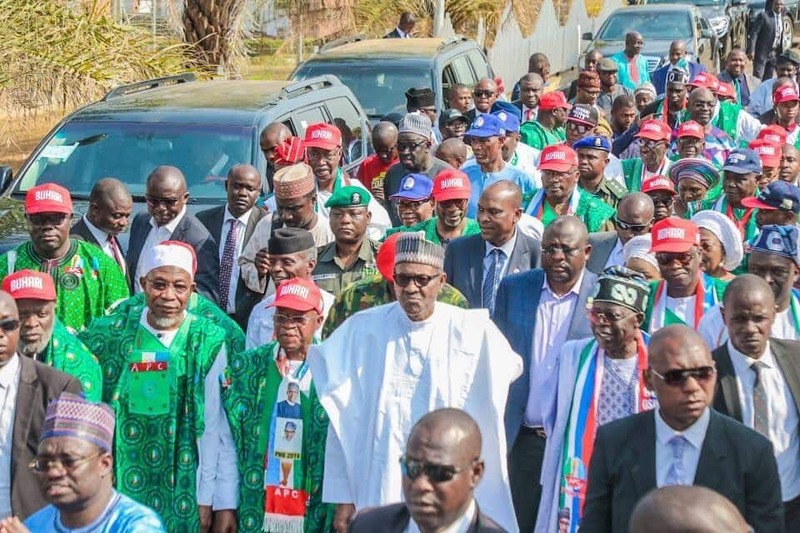 The suspects, in possession of dangerous weapon and charms in their possessions were arrested as they tried to enter the stadium where President Muhammadu Buhari should address a campaign rally on Monday, February 11, Punch reports. Although President Buhari is still on his way to the stadium, indications show that the venue is already filled to capacity. APC and the Allied People’s Movement (APM)'s faithful in the state have already taken over the venues in the morning of Monday, February 11. Moreover, security personnel of Nigeria Police Force, directorate of state security, Nigerian Army and Nigerian Security and Civil Defence (NSCD) prevented many people from gaining access into the main bowl of the stadium. Earlier, Legit.ng reported that President Buhari was to arrive at Kwara and Ogun states on Monday, February 11, in continuation of his nationwide Next Level campaign ahead of the February 16 presidential election. The social media aide to President Muhammadu Buhari, Lauretta Onochie, on Monday, February 11, revealed that her principal has departed Abuja for Ogun and Kwara states to continue with his nationwide Next Level campaign.